This annual wildflower, native to California, thrives along the Pacific coast, although it’s very adaptable to other areas of the United States. It is considered one of the most beautiful of all western wildflowers, with brilliant white centers fading into pinks and purples near the end of the petals. 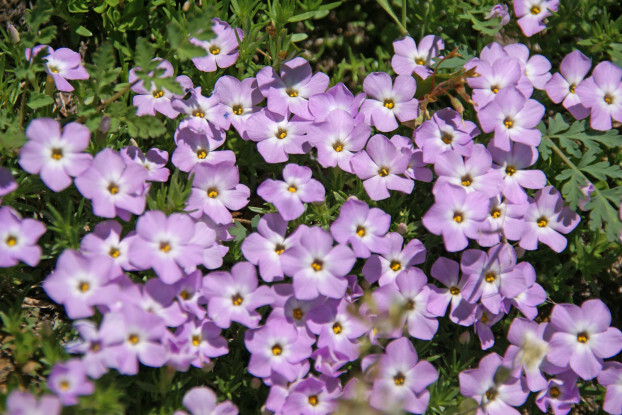 Mountain Phlox is drought tolerant and prefers full sunlight. It will bloom from April to July if moisture is adequate. It comes back year after year if allowed to self-seed.